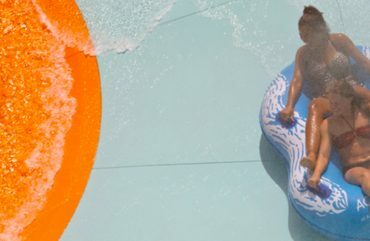 Aquatica Waterpark is the place to be this summer. “See you on the slides” … very soon!! Promising endless splashes of fun! 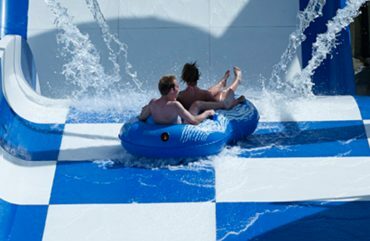 Aquatica Waterpark is an attraction with something for everyone. 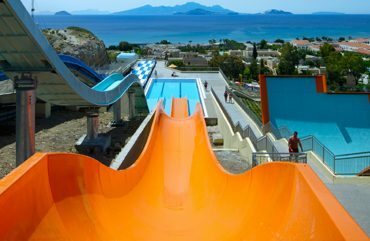 Feel the adrenaline rush as you zoom down thrilling waterslides such as Kite Slide or Wave Ride. 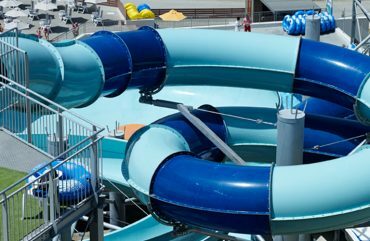 Chill out with friends at the swimming pool, or grab a tube and journey down Dual Spin Bowl. 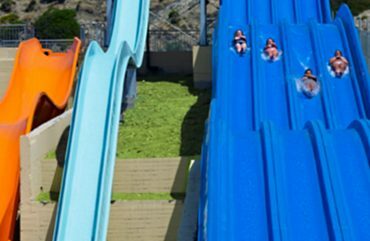 For a day of wet and wild fun in the sun, come and experience it all at Aquatica Waterpark. WE CAN ORGANIZE FOR YOU AN UNFORGETTABLE BIRTHDAY PARTY WITH A MENU OF YOUR CHOICE AND AMAZING SPLASH GAMES! 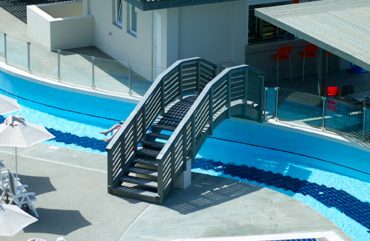 SITUATED RIGHT NEXT TO THE ATLANTICA PORTO BELLO HOTELS. 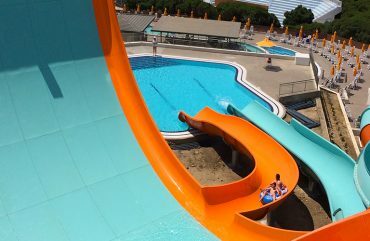 The ticket allows you unlimited use of slides, pool, lazy river, aqua playground, sun beds, umbrellas. The Aquatica Café is not included in the ticket price. 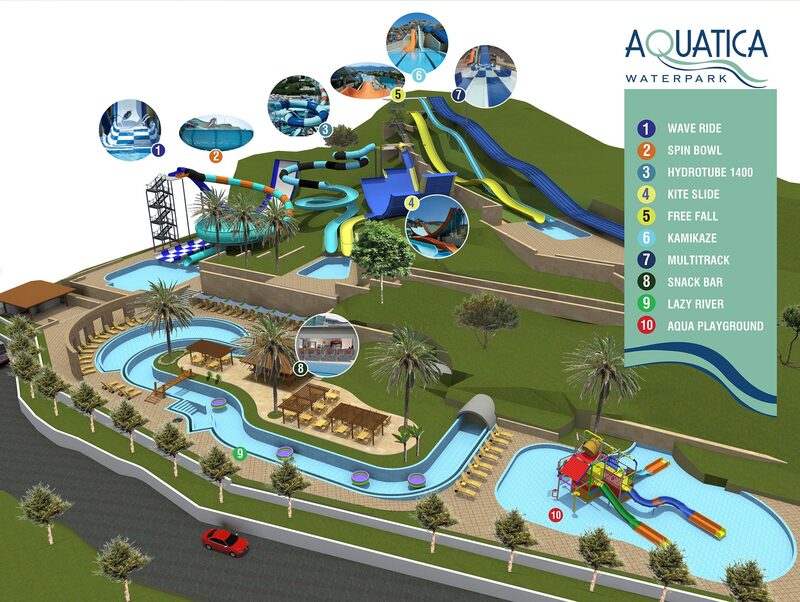 *Children under 1,20m are allowed to use the Aqua Playground, Lazy River and the pool. OPEN DAILY FROM 09:30– 16:30. 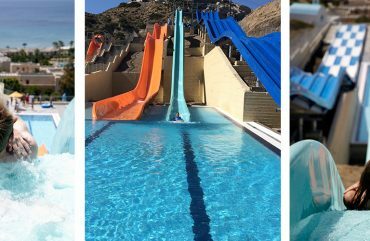 AQUATICA CAFÉ OPERATES DAILY FROM 09:30– 16:30. 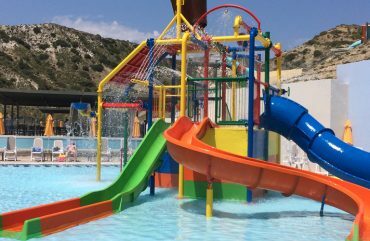 *In case of sudden poor weather condition (rain, very strong wind, storm) the water park will remain closed or will close during the day. In this case the entrance fee is not refundable.